If I were to list the things I love about Chicago, this structure would make it to the top two. I clicked this photograph on the day of my first visit to The Bean. The girl in the picture is the friend I went with. It was a completely instantaneous and impulsive shot on both are parts. Like a pistol duel with cameras. 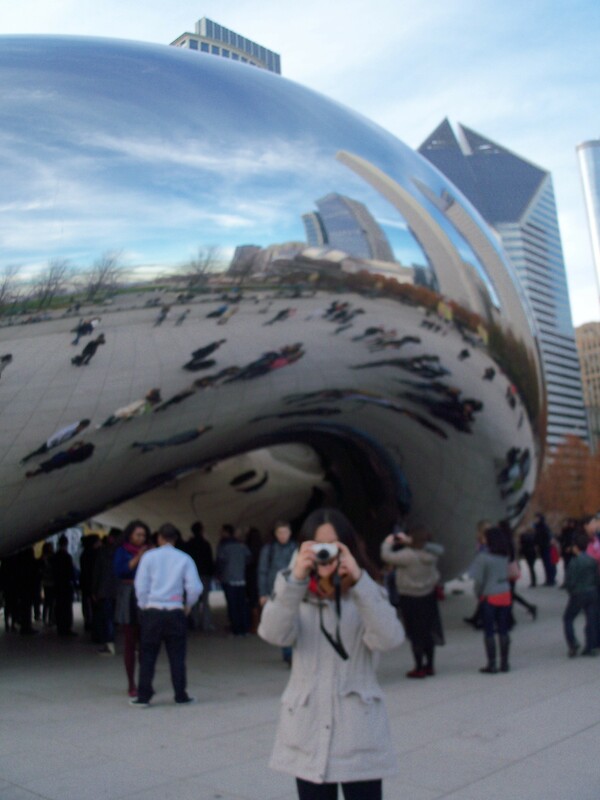 If you look close enough, you can see my reflection in the Cloud Gate (official name). I don’t have the photo she took off me taking her photo but then, it can’t possibly be as interesting as the one I do have. Me too! Sometimes I wish I could carry it home and install it in my garden.